Can Goulburn keep its character cake and develop it too? 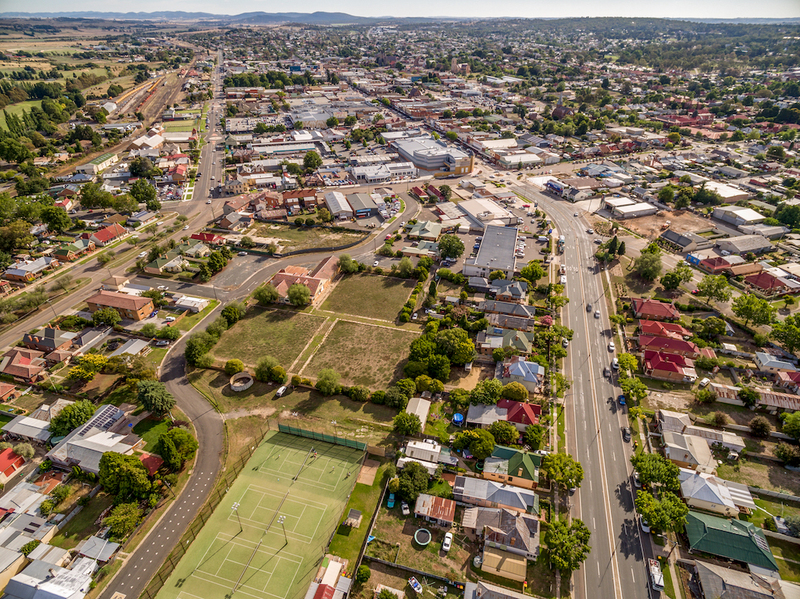 Previously targeted as a potential Woolworths supermarket site, a huge parcel of land with eight character homes, including Goulburn’s only double-story weatherboard home, is on the market. The offering has frontage to Lagoon Street, drawing keen interest from Sydney architect Randolph Griffiths. 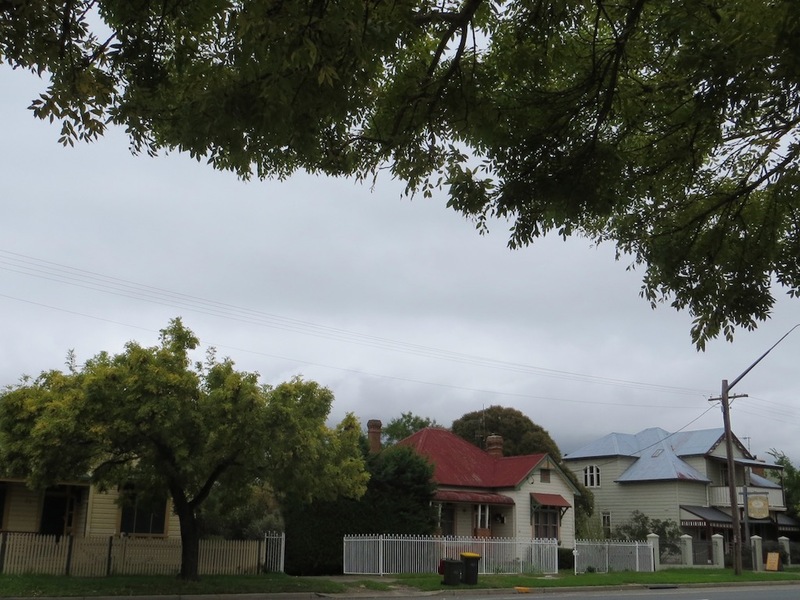 “Lagoon Street is the entrance, the ‘front door’, into Goulburn, we do not want to destroy the streetscape and replace it with rubbish accommodation there,’’ Mr Griffiths says. Goulburn Heritage Group spokesman David Penalver says the land is within easy, flat walking distance of the town centre. “There’s a brilliant opportunity to create a decent residential estate that combines existing and new housing with a variety of single and two storey buildings,’’ Mr Penalver says. The development site also includes a former bowling club house, greens and vacant corner block. It has frontages from Lagoon Street, Bruce Street and Fenwick Crescent. The 20,000 square metre parcel was aimed at a long-term Woolworths lease. But the owners are now divesting the holding, one of eight across Australia. Mr Griffiths says previous, parochial councils have allowed redevelopments that have severely damaged the historic fabric of Goulburn. “Look at the back of the Goulburn Plaza. They seem intent on destroying Goulburn with 1000 cuts. They look at a building and say we have 20 just like that across town. The issue is not individual buildings – the essence of Goulburn’s history is in the streetscapes, this is recognised everywhere, except Goulburn. Mr Penalver says a good architect could come up with wonderful possibilities, for example an efficient town housing style that provides garden spaces rather than having boundary-to-boundary villa units. “However this is rather jumping the gun. Goulburn needs new investments. There’s no point in our interfering too early in whatever a new site purchaser might have in mind,” Mr Penalver said. “That said, the council town planning group should certainly have some good, well thought through site development guidelines already considered for situations such as this one, where streetscape might be very important; looking at both the Lagoon Street approach to city side with limited vehicle access, as well as within the older character street elevations on the eastern side. “The worst outcome would be achieved if Council and developer do not work together well before a final scheme is produced. This problem has happened before. After a detailed development application has been submitted, it becomes far too late for local community concerns to be properly addressed,’’ Mr Penalver said. The properties are listed with Ray White Goulburn. Principal Justin Gay says the buyer could develop aged care on some of the land and sell the weatherboard homes separately. Numerous other possibilities were available, subject to council approval. Mr Gay said people were more likely to protect homes with heritage interest these days. Captions: top, Lagoon Street and character homes (centre foreground), near old bowling greens. Photo: Ray White Real Estate. Above: some of the weatherboard homes for sale. Photo: John Thistleton.